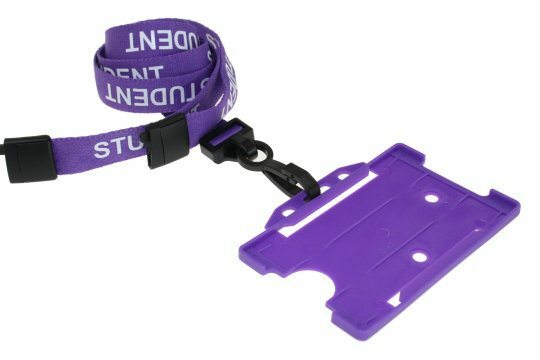 Sold in packs of 100, our purple “student” printed lanyards are the ideal way to identify and carry student ID, and access control cards. 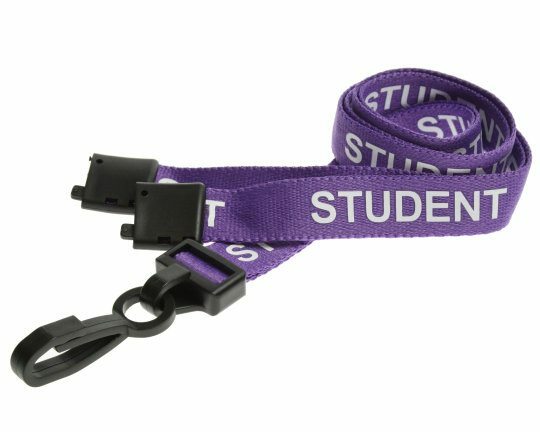 Our printed student lanyards are high-quality, durable and comfortable. 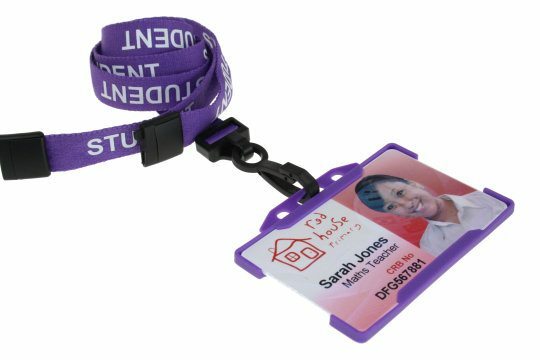 These lanyards can be used by schools or colleges so that students can be quickly and easily identified: Make sure your students are distinguishable with our simple and robust printed lanyards. A plastic J Clip makes these lanyards simple to attach to all types of cardholders, from open-faced to vinyl. Perhaps most importantly, they have a breakaway clap, this ensures that if the lanyard becomes caught or tangled up then the lanyard will easily pull away from the neck and prevent any form of injury — safety first.